You are here: Home / Recipes / Lunchbox / Apple and strawberry fruit leather no added sugar and no dehydrator! 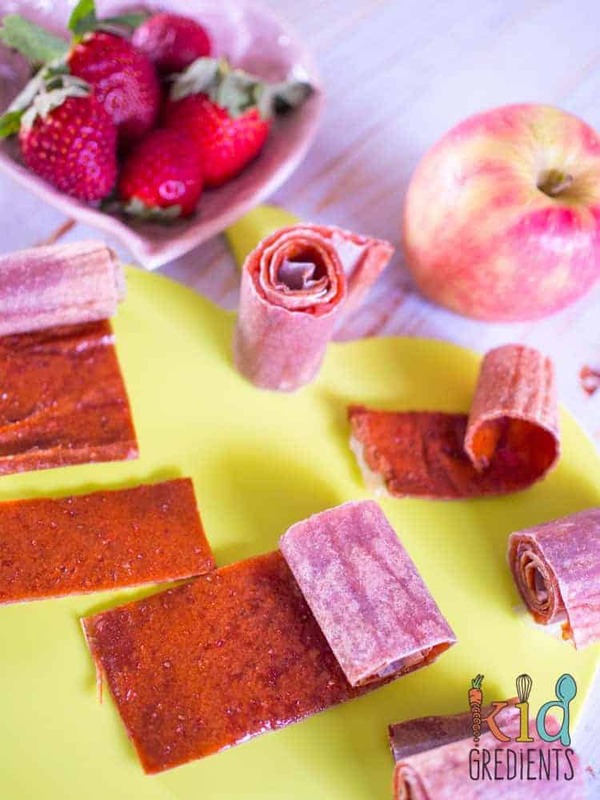 Apple and strawberry fruit leather no added sugar and no dehydrator! We are great fans of fruit leather, we call them fruit straps and they are super yummy. They can also be super expensive…and if you buy the wrong brand, filled with sugar. 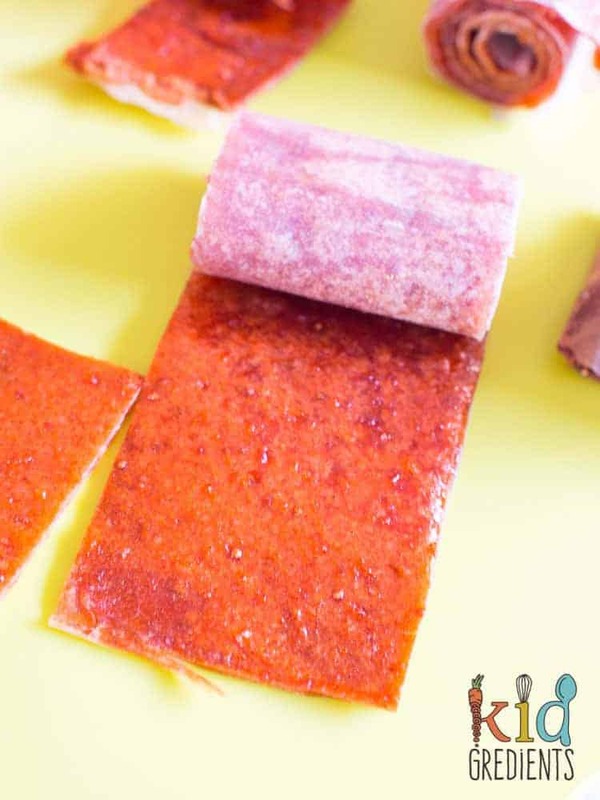 So here’s how you can make apple and strawberry fruit leather at home with no added sugar and no dehydrator. 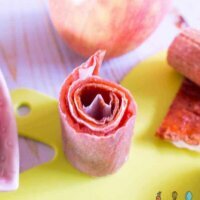 Roll-ups, but not as you know them! Queensland strawberries are everywhere at the moment and really cheap. Not only that but I find that they are even sweeter than the ones we get in the NSW and Victorian strawberry season, so they don’t need any sweeteners at all. If your kids are used to sweeter fruit roll-ups (not naming any brands) you might need some sugar in these…but give them a go without, you might be surprised, as it really does depend on the fruit you have! 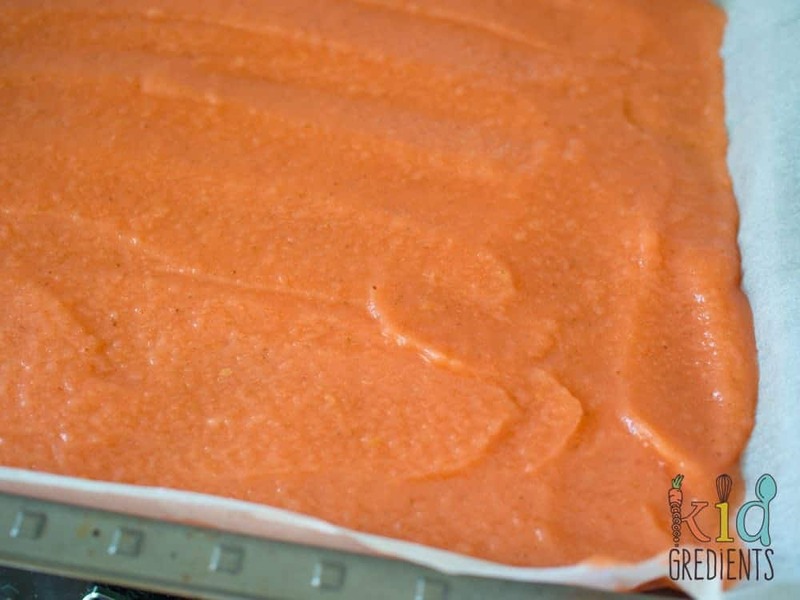 I have made fruit leathers many times in my dehydrator, but I know that not everyone has one, so I’ve been experimenting in the Kidgredients kitchen to get this just right for you, in the oven. This isn’t a quick food to make and it’s best to make when you have plenty of time, as the cook time is a little variable- it depends on how your oven works and also how damp your mixture is. Roll it up…and off you go! My kids love this strawberry and apple fruit leather and think it tastes exactly like the storebought ones we’ve had before. Which is a pretty awesome compliment. I think one of the key elements to these is using pink lady apples due to their sweetness. By following this recipe you will make enough for 16 fruit straps. If you do this on baking paper, you can roll it straight up and cut into sections ready to go. Store in the fridge already cut. Eat within a week or freeze. Make sure you keep an eye on it whilst cooking, you want to be sure you end up with a leathery texture rather than drying it out completely. Toffee apple popcorn balls – gluten free and super yummy! 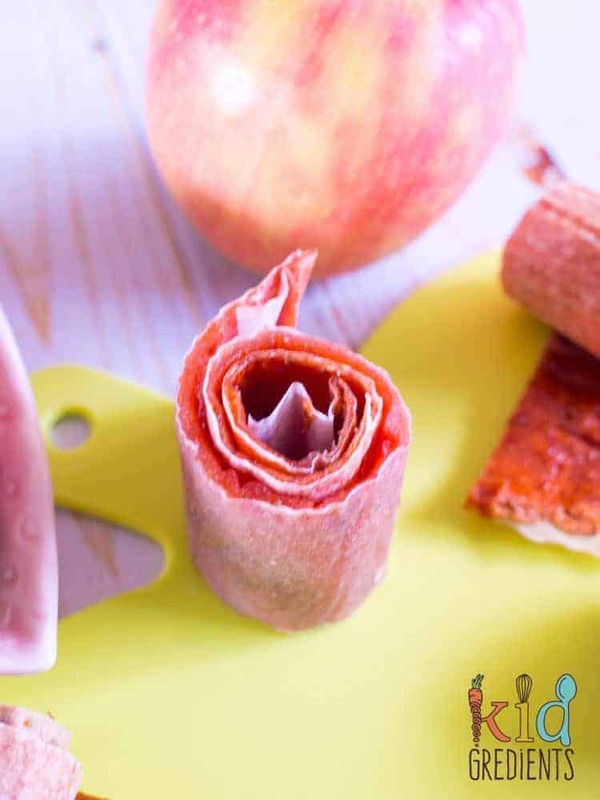 Apple and strawberry fruit leather no added sugar! 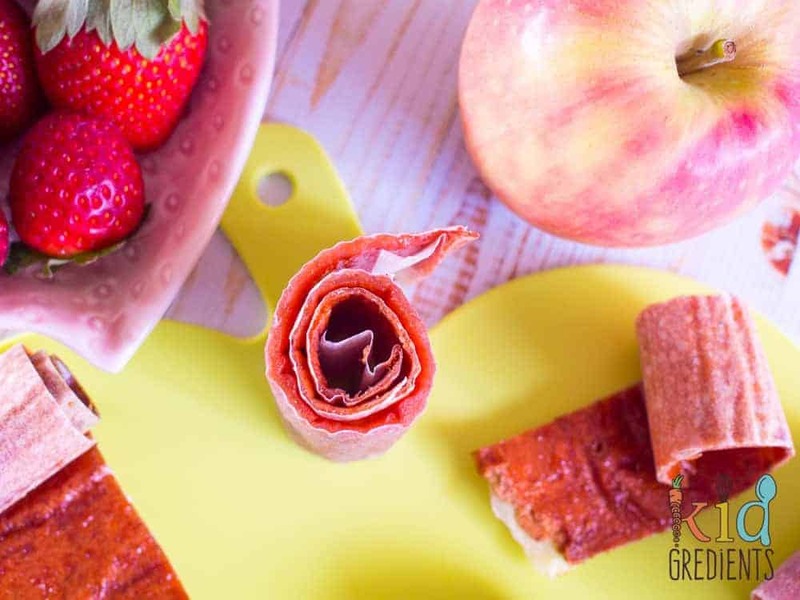 Apple and strawberry fruit leather, no added sugar and no dehydrator needed! 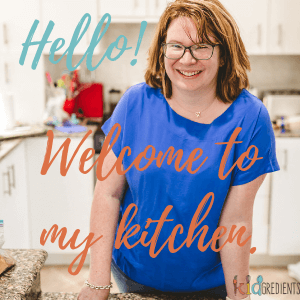 Easy to make recipe the kids will love! Perfect in the lunchbox or as a treat after school. Preheat oven to 120 degrees. Line an oven tray with baking paper. Combine the apples, strawberries, vanilla paste and juice in a sauce pan over medium heat. Put a lid on it and cook for 5 minutes over medium heat or until soft. Pour into a blender and blitz until smooth. Pour onto the prepared oven tray and smooth out to the edges. Cook at 120 degrees for 2 hours. Or until tacky, but not dried to a crisp (this depends on your fruit).